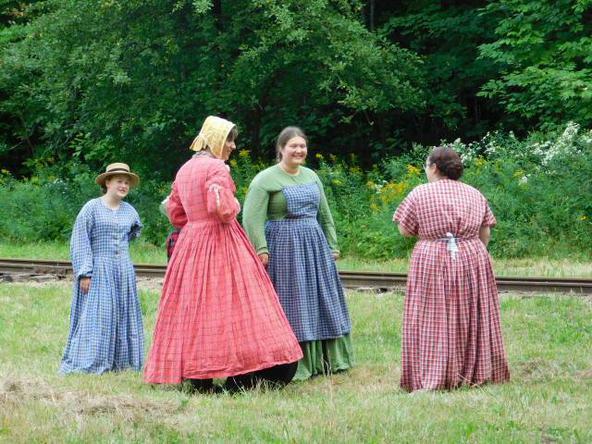 Each August, on the third weekend, the Sandy River Valley will be filled with the sounds of gun fire. 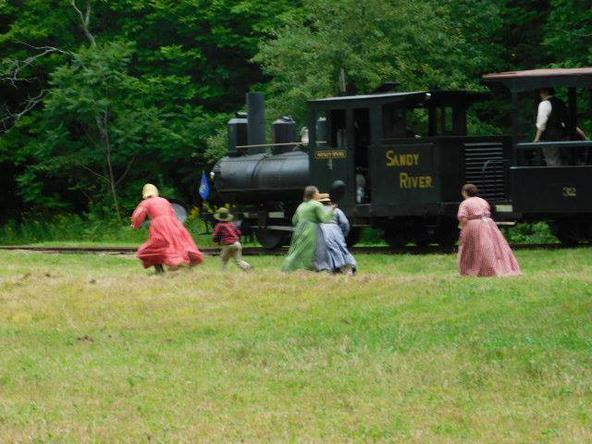 As the armies of the Blue and Grey fight for control of the Sandy River & Rangeley Lakes Rail Road. 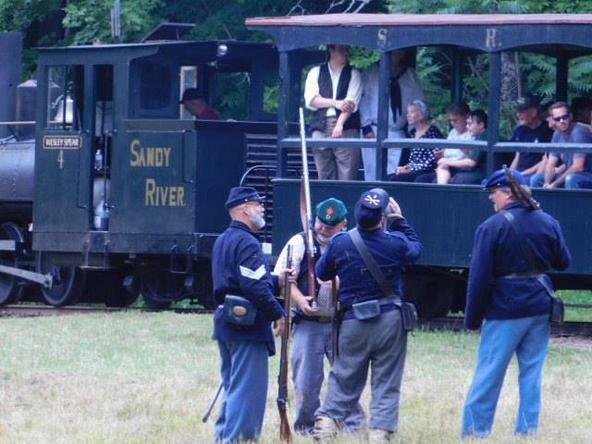 Tophat's Sutlery, the SRRL RR, and Peter & Freya Hainley and family, in conjunction with "Phillips Old Home Days Celebration," invite you to attend our Annual Raid on the Sandy. 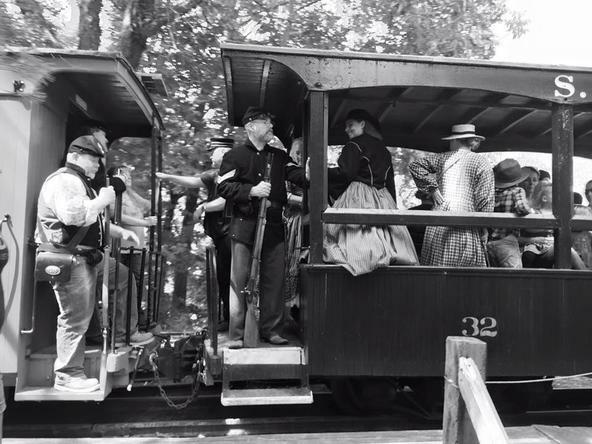 Skirmishes take place on Saturday for control of the train, along side the tracks and from the train on each hourly run, and are choreographed by you, the reenactor. 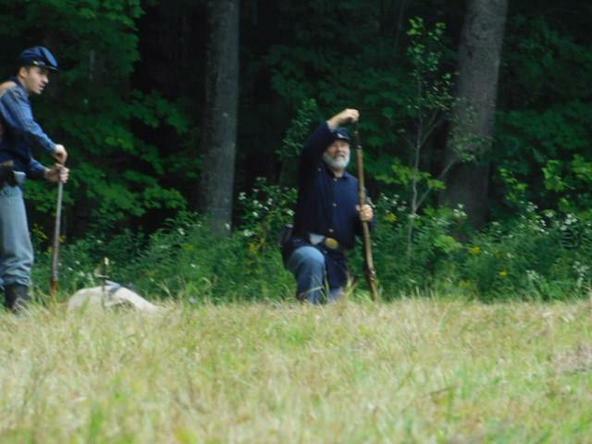 Sunday we fight a tactical for control of the hundred acre site. This includes the rail yard and associated buildings. Wooded areas with hills and rock walls, open fields, and the river bed.... Make sure you bring plenty of powder and caps, you will need them! 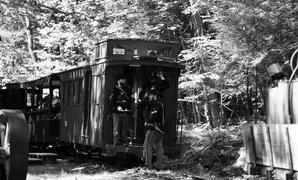 The SR&RL RR have close to 100 acres to camp and fight on. Wood, restroom facilities, and water provided. 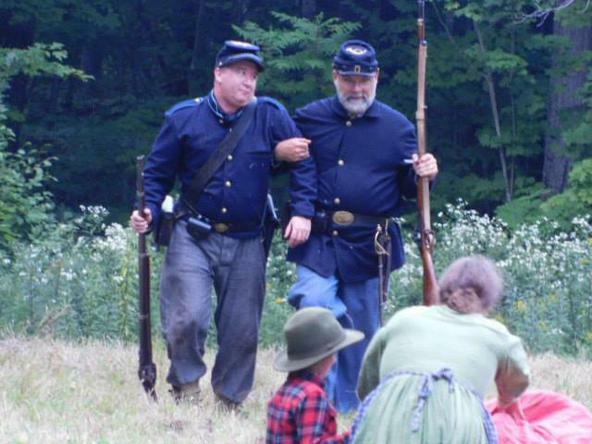 Also, a delicious bag lunch and hot dinner provided for authentically attired reenactors and railroad personnel on Saturday. 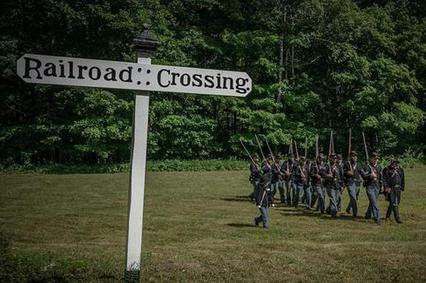 This event is hosted by reenactors, for reenactors. Our goal is that all who attend have a really good time doing what we all love to do. SEE YOU ON THE SANDY! Take Amble Street which turns into the Wesley Spear Road past the rail yard, all the way to the end, and you are in camp. 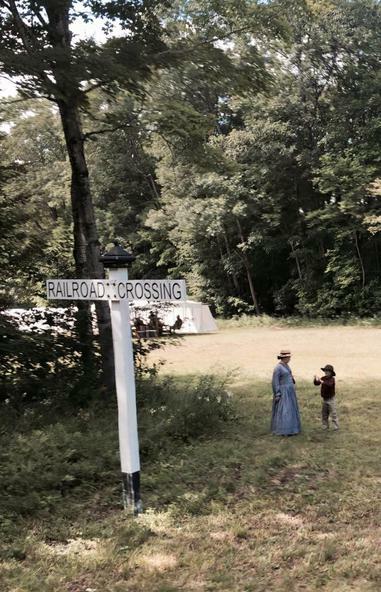 If you need additional assistance you can find Tophat's at 83 Main Street, "The Little White Church Antiques." Looking forward to seeing you here!